Many advances in technology are due to the development of new materials and by using patent literature we can monitor how technology has advanced. Exploring Materials through Patent Information describes how different technologies have evolved through the development of their patents, providing students with a guide on how to use patents as a source of information in their research and studies. The first chapter provides practical advice on searching for patents and using patents, followed by individual chapters covering different material systems where the technical information in the patent literature demonstrates the developments in the technology. The materials discussed includes light-emitting diodes, quantum dots, organic light-emitting diodes (OLEDs), liquid crystals and liquid crystal displays, 3d printing, healthcare, block copolymers, aerogels, ionic liquids, flame retardants, graphene, hydrogels, and superhydrophobic materials. 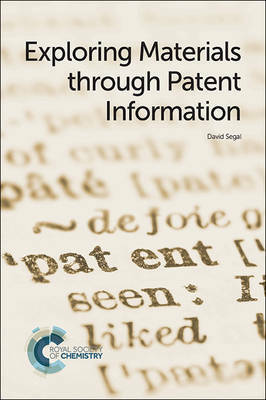 The book is aimed at students in chemistry, materials science and engineering to show how patent information is an important source of information alongside other sources of information.